Around 750,000 Rohingya’s fled across the border from their homelands in Myanmar into neighbouring Bangladesh in the last months of 2017 due to a series of attacks on their communities by government forces. Known locally as the Tatmadaw, the Myanmar military unleashed the disproportionately severe assaults on the mostly Muslim Rohingya minority in response to some coordinated attacks on police posts and an army base by Rohingya militants on August 25. 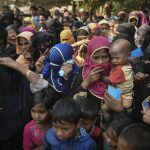 A repatriation program designed to return the hundreds of thousands of Rohingya people currently staying in makeshift camps in the Cox’s Bazar district in Bangladesh is set to get underway on Thursday. However, aid organisations are calling for the program to be postponed. The International Crisis Group asserts that it will renew the risk of violent unrest in Myanmar’s far western Rakhine state, where Rohingyas have been living under oppressive rule for decades. The humanitarian crisis that’s unfolding following the crackdown on the estimated 1.1 million Rohingya people living in Rakhine state last year is one of the worst in recent history. The UN made clear the campaign against the Rohingyas constitutes genocide. However, the events of last year are nothing new, rather they mark the intensification of an ongoing campaign against these people. By March last year, 87,000 Rohingyas had already fled over the border into Bangladesh following a series of military attacks that began in October 2016. Again, the Myanmar military carried out these sweeps as a reprisal for a minor attack by a Rohingya militant group. Prior to this, and despite decades of ongoing persecution, the Rohingya people had avoided resorting to violence. And besides the two minor attacks, the majority continue to do so. 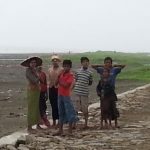 One of the key issues facing the Rohingya people if they return to Myanmar is that the government is now offering them “national verification cards”, which they assert will reinforce their second-class citizen status in a country that refuses them citizenship status under its national laws. However, while the plight of the Rohingya people is extreme, they’re not the only minority around the globe suffering such oppression in their own lands. On November 4, a Tibetan man set himself on fire and died in a peaceful protest in eastern Tibet’s Amdo Ngawa. The death of 23-year-old Dorbe brings the total amount of Tibetans that have self-immolated since February 2009 to 154. The Chinese Communist Party (CCP) began its invasion of Tibet when it marched into Amdo and Kham in eastern Tibet in 1949. By 1959, it had consolidated its power over the country. And following the suppression of the March 10 uprising that year, the Dalai Lama fled to India. Today, Tibet is one of the most heavily policed and surveilled places on earth. Former CCP secretary to Tibet Chen Quanguo implemented a security policy in 2011 that saw hundreds of new police stations established, which turned urban areas into grids, allowing for all activities to be monitored. Since China took control of the region, authorities have been carrying out a program of cultural genocide. This includes the destruction of Tibetan Buddhism, the attempted erasure of the local language, and a program of Han Chinese migration into the region. In July 2016, the Chinese government began demolition work at the Larung Gar academy – the largest centre of Tibetan Buddhist teaching. And by October last year, the population had been reduced by around 5,000 people and close to the same number of dwellings had been destroyed. The CCP state that the plan to cut down the academy’s population by half is due to overcrowding concerns. But, the Tibetan people see it as part of an ongoing campaign to desecrate their culture. In late September, another series of mass arrests took place in Indonesian-occupied West Papua, as students were holding demonstrations in support of Vanuatu and other Pacific nations that were planning to raise the West Papuan issue at the 73rd UN General Assembly. A total of 67 students were arrested at the peaceful protest actions that had been organised by the United Liberation Movement for West Papua. The heads of Vanuatu, the Marshall Islands and Tuvalu subsequently called for action on West Papua at the UN meeting. Since Indonesia began its occupation of West Papua in 1963, an estimated 500,000 West Papuans have lost their lives under harsh military rule. 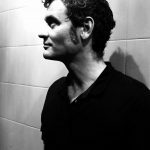 And a decades-old transmigration program – that sees immigration from Java into the region – has further marginalised the local Indigenous people. 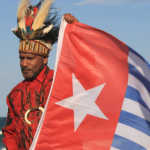 Last year, 1.8 million West Papuans risked imprisonment to sign a petition calling for an internationally-supervised vote on West Papuan self-determination. Indonesian authorities previously rigged a 1969 UN brokered referendum to ensure their rule would continue. 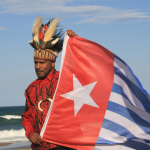 West Papuan leader Benny Wenda told Sydney Criminal Lawyers® last November that he hopes “the good people of Australia and their government will not let their neighbours suffer alone, and will not forget that in World War Two” West Papuans “fought and died alongside Australian soldiers”. 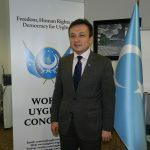 The Chinese government is currently imprisoning around one million Uyghur people in recently established political indoctrination camps. These people who are deemed to be harbouring “politically incorrect” views are being held in indefinite detention without charge or trial. 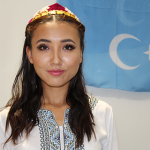 The Uyghur people have been subjected to oppressive rule since the CCP marched into the country the local people recognise as East Turkistan in 1949. But, recently, the crackdown on the local population has intensified and an all-pervasive surveillance system similar to the Tibetan model has been rolled out. Australian foreign minister Marise Payne said she raised the issue of the internment camps at a recent meeting with her Chinese counterpart in Beijing. And Australia was amongst a number of nations that called for the release of the Uyghur people at a November 6 UN meeting. Indeed, it seems that despite the great gains humanity has made in terms of human rights awareness over the last century, those forces that still seek to rule by the iron fist continue to have the ability to do so.